Chogkyid is 33 years of age and a single mom of three children. Life has not been kind to her but she has always worked hard to provide for her children. She lives in the mountains of Qinghai province in China. “We have a small plot of land that we plant wheat each year. Flour is the main food we eat every day as we can’t afford to buy fresh vegetables,” explains Chogkyid. Her eldest son is studying in a vocational school and she has gone into great debt to give him this education opportunity. She sometimes find work planting trees and is paid only a few RMB for the days work. Chogkyid beams as she tells us how grateful she is for this opportunity to learn a skill. “Cooking looks easy, but is quite hard. I especially need to learn to control the heat. It’s very important in stir-frying. I’ve never cooked with vegetables before so this is an exciting time for me. In just a short few months, I have successfully learned to cook 22 different dishes. 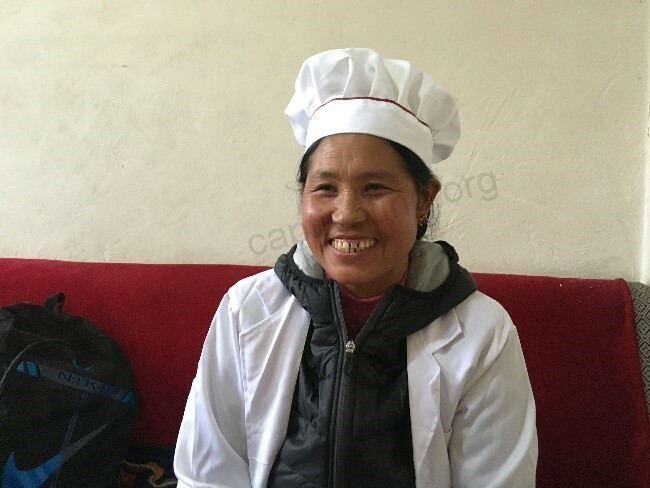 This is something I never thought I’d be able to do.” When Chogkyid completes her training and internship, Shamtse [Captivating’s in country partner] will help her secure her first job. She will be able to earn a good income, repay her debt and provide a bright future for herself and her children. Thank you to ZURU for funding 50% of the total budget of this life changing program. 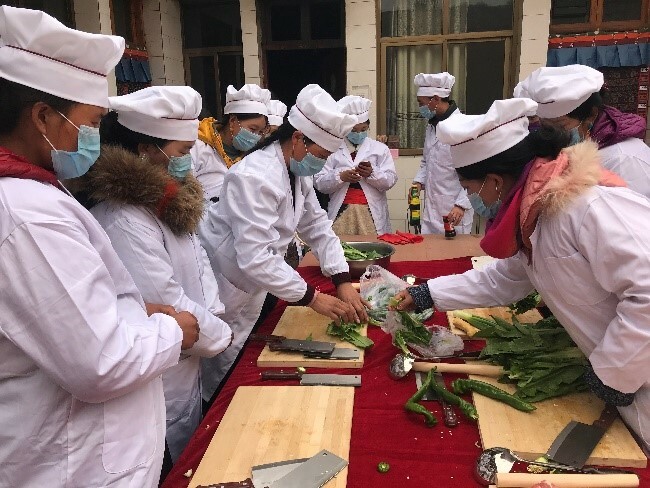 30 women just like Chogkyid are currently in the My First Job Assistant Chef program.